A railroading event that stands out in my mind occurred during a Dark Sun game. I and my fellow Players had joyfully killed the future villain and we were headed back to town, but the module required the villain to be in the town when we got there. And the GM actually had this happen, leaving us confused and wondering how the raised villain managed to reach the town before we did. Essentially, our action was stolen because the module did not allow for it. We got railroaded. Worried about having their agency stolen, many Players openly ask for sandbox games, games in which full agency would allow them to take any actions they wanted. Yet these games often fail even quicker than railroads, because Players lack the ability or the necessary information to pragmatically embrace their agency, and this can lead to stalled games and frustrated GMs. The most common solution for this problem is to encourage Players to be more proactive. 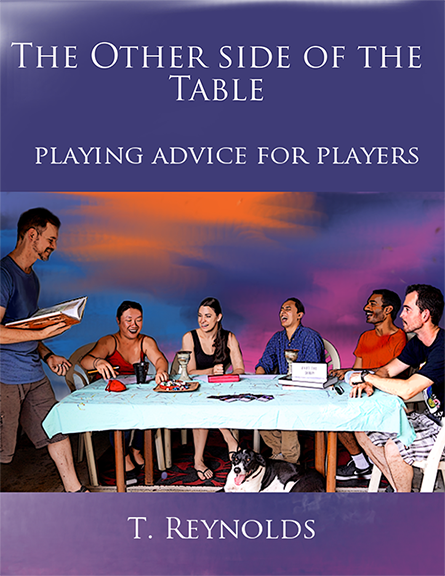 This means improving their gaming skill set, which is the whole point of the Other Side of the Table (available at DrivethruRPG.com). But I think there is another approach worth considering: it requires both Players and GMs to realize how railroads and sandboxes interact, and to create characters that work in this world. I want you to imagine your favorite 1920's map. Maybe it's a simple map of the US, or perhaps it's the map from Chaosium's Horror on the Orient Express. On these maps you will find many different points of interest, many of which are connected by one or more railroads; the overall map is the sandbox. There are lots of places to go and see. You might even consider it an entire campaign ; a representation of your setting. The sites on the map are significant encounters or decision points, where Player Agency plays its most vital part. As for the railroads, well, these are the GM-controlled scenes and events that take you from one decision point to another. To get all these parts to work together, the group must also work together to understand the basics of the setting, and they need to build characters that have agency in that setting. As Players, we must be able to convert that ability into action by leaning in to the agency of our characters, which will differ depending on where we are. So now we have the idea of a sandbox full of railroads/adventures leading to locations/decision points; that's a philosophical framework to hang our setting around. Now lets talk about creating the sandbox itself. In the past I've described how settings come from three general sources: there are (1) commercially-produced RPG settings like DnD's Forgotten Realms or Traveller's 5th Imperium; (2) existing fiction converted into RPG settings by the GM or the group ("Yeah I loved the Collapse series -- can we do this and call it Far Verona?") and finally (3) completely home-brewed settings created by the GM or by the group at large. It doesn't matter which of these the group uses; what does matter is how much access the Players have to the setting materials. Why is this important? Well, if you're taking a trip through 1920's Europe, you don't do it with just a map. You bring along a guidebook, and you learn as much as you can about each area you intend to visit. This allows you to make informed decisions as you go from town to town -- decision point to decision point -- making your agency matter. So the Players have access to a bunch of decision points; what do they look like? Well, like all train stations, they are the beginnings and endings of journeys. They are the places where you gather with fellow travelers, gather supplies and share knowledge, deciding where to go next and what train/adventure you'll use to get there. It is the lack of decision points that causes the disconnect between railroads and sandbox adventures. Without them, sandboxes go nowhere, but on the other hand, a constant series of railroads without decision points will destroy agency. That's why the decision points are so important: it is during these "layovers" that Players and characters shine and convey the important choices of their stories, growing and changing. Now we have the general scope of a campaign and we have placed decision points, but what of these railroads? Railroads are essentially all the adventures that the GM provides for the Players. Good railroads just don't appear without context, or decision points at either end; they take the adventurers into new lands, they curve, twist and climb up and down the arc of the story. They connect the Players to those points in the setting where their agency matters most. So far we have considered the railroad network in the context of a campaign setting, but the interesting thing is that the whole structure scales downward to individual adventures as well: they are like micro versions of a whole campaign. On the scale of a single adventure the "dungeon" becomes the setting, encounters become decision points, and the halls themselves become railroads. This means that encounters should be from time to time more than combats, puzzles or social encounters. They should provide information and opportunity for Player Agency. The more these opportunities arise, the better the Players will feel about their ride. Given all this information then, we need to develop characters that not only have backgrounds but stories that allow them -- through agency -- to interact with the setting in mind. Keeping with the allegory of the railroad network as a map connecting all the points of the sandbox -- with destinations as decision points and railroads being the adventures connecting these points -- how do we make characters that work in this framework? The obvious thing is to focus on backgrounds instead of mechanics. I think there are two key aspects of background development which are important here. The first is that you need to develop "itinerant" characters: outsiders, anti-heroes, travelers, explorers or investigators. The second is that you should integrate conditional statements into a view of your character's future. When combined, these two key aspects will help you to develop a proactive character, and that will lead to you being a more proactive Player. This is important when you are trying to create a collaboration between Player and GM. What do I mean by an itinerant background? I simply mean that you should create a character who has a reason to move from one decision point to another. Like the student taking time off to travel across Europe, they are seeking adventure. The story isn't about what happens at any particular point, but rather about the entirety of the journey. This is why hex crawls work. Let's take the "antihero" for example: they're always moving on, riding into the sunset. 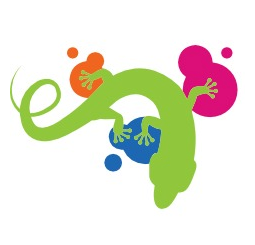 In the latter case the character may be seeking something, while in the former they may be running away from something. What are they seeking? What are they running from? Answer one or both of these questions and you've gone a good way toward defining a unique character with a reason to travel. For another example, consider the "investigator." This character type is often more suited for a dramatic game, but note that the investigator can still be still a mover: they are seeking answers as they float from one clue to the next. At this moment I can only picture the beginning of The Hobbit, when Bilbo steps out his front door. The second key aspect is a bit more difficult to explain, and runs counter to how we tend to look at character backgrounds. After all, when we create characters, backgrounds are for the most part written about the past, right? And yet we expect the Players to draw upon these past events as play unfolds. Ask yourself: Do any of these past life events really matter to the campaign? Usually not! But everything changes when you include ideas about the character's future. By thinking in terms of "if/then" type statements you can link the character's past to their future and create desires, which will provide useful goals and motivators for moving forward through the campaign. An example might be something like this: "My parents died at the hands of the Baron's knights, and I want to seek them out and kill them in vengeance." This simple statement definitely explains the past -- the death of the parents -- as well as the future: seeking out the knights responsible and bringing about their deaths. All of this is connected by the desire for revenge. Past and future are linked in a single thread. Conditional statements take a little more work to create than mere backstory details; they must have their own logic and continuity, and they need to possess more than one part. For example, let's start with this statement: "Because my character seeks the space pirates that stole their ship, they spend most of their time traveling the shipping lanes." Great; we've covered the "itinerant" requirement. But what about the future? For that we need to add a forward-looking statement, something like this: "If the character finds the pirates, he intends to steal back the ship." Taken together, these statements tell different parts of the same story, creating a future which is rooted in the past. In creating a traveler whose goals are defined by their past, you create someone who will recognize when they have encountered an important decision point. These decision points will become significant scenes in the character's unfolding narrative. Consider our antihero who is seeking revenge for the death of their parents. Clearly in order to do this, the character will spend much of their life moving from one place to another. Some of the stops along the way will be significant while others will matter little to them, and figuring out which is which might provide many reasons to get involved in dangerous situations. But the GM now knows the desires of the character, and can work with the same set of if/then statements that the Player created in session zero. This allows the GM to provide answers -- or deepen the mysteries -- that will arise through the campaign to form the character's life story. So down the road, for instance, the GM might have the PC find out that one of their parents' killers has become the law in the next town over. This piece of information should promptly send the character flying to the next town, to the next decision point in their story. This is so much more active than a Player who simply writes "My parents were killed by the Baron's men." This Player has agency, and that agency actually means something to the character. All of this is to say: one needs to create an active character, so they can decide which railroads they will take. The GM cannot share a sandbox with a passive PC. Now that we have this framework in place and characters ready to play, how do we do it? Well, as I mentioned before, my approach involves sharing creative responsibility, or to put it another way: collaboration. Following along with what we've talked about so far, there are three things that should facilitate your collaborative games. First, character backgrounds should be both past and future-oriented, and they should explain the character's itinerant nature. Second, decision points should be scattered around the campaign setting, and finally, everyone needs to understand the purpose of the railroad network. By creating backgrounds that point toward the future you not only give your GM ideas to create encounters/decision points, but you also create goals and motives. These goals will become terribly important as you move around in the sandbox, looking for your next railroad/adventure. Keeping these goals in mind should reduce the amount of time the PC spends walking around a town because the Player doesn't have purpose. With a set of goals and motives, you and your character possess agency and an aspect of narrative control that can propel you around the setting until you find the decision point for the next adventure. You've probably noted by now that "decision points" are essentially just encounters that bring the GM's story into contact with the character's goals and motives. These encounters should confront the Players with several choices that play off the background. It is here that the PCs and/or Players will negotiate -- at least loosely -- the goals, expectation and limits of the next railroad. Decision points also provide opportunities for Players to take up some of the creative load by doing some of the describing of the area around them. After all, having grown up in this world, chances are they know one or two things about it. This gives Players the power to play in the sandbox. Need a laser turret installed on your star ship? Go ahead and describe the weapons factory. Need magic items? Describe the magic shop you walk into. An inn where you can stay the night? Describe the kind of place you can afford. Whenever you reach a point that triggers one of your character's motives, you have to decide on the next railroad or adventure that might help you accomplish it, and at that point the GM's narrative control will come to the forefront again. That's why decision points so important, because once you're on the railroad, the GM is going to be doing a lot of the work in telling the story that you set the boundaries for. When you start the adventure, you agree to participate in the story. And for their part, the GM agrees to present a story that answers or at least addresses some of your background motives. At each decision point it is your responsibility as a Player to embrace your agency or push toward another decision point, so you can define what you really want. As you travel along each section of railroad, you should be on the lookout for hints or inspirations that might lead you to the next important decision point. In the end, a lot of good role-playing is just about knowing when to be proactive and when to be reactive. It seems simple enough, but Players often get it reversed: they demand the right to be proactive in the middle of the railroad ride but when they reach the station they shut down. This forces the GM to pull teeth and improvise in order to generate action, and the end result is that the Players have actually lost agency. It happens often, and wastes a lot of time. This is the sort of conversation that frustrates the table the most… "I wanted to do X but the story is about Y," says the Player, and meanwhile the GM is thinking "Why didn't you tell me so?" Keep your goals and motives in mind. If you are ever unsure of what to do, look at that background you created. "Oh yeah, I'm looking for the nine-fingered man who killed my father, and in that last bar fight I learned that he went to the temple of Nine Lives that specializes in healing..." When you get there, perhaps you'll find that the dead have risen and the priest has created a battalion of newly minted zombies. Looking back on it, that bar fight was probably a proactive encounter that the GM tied to your story. The temple battle? There's your railroad. Hop on!